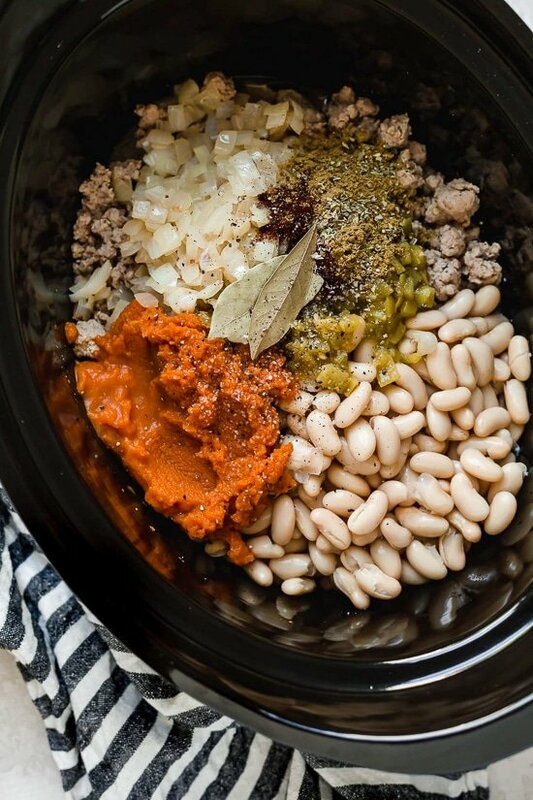 Turkey Pumpkin White Bean Chili recipe made in the Slow Cooker or Instant Pot! I am so happy to share this one with you!!! 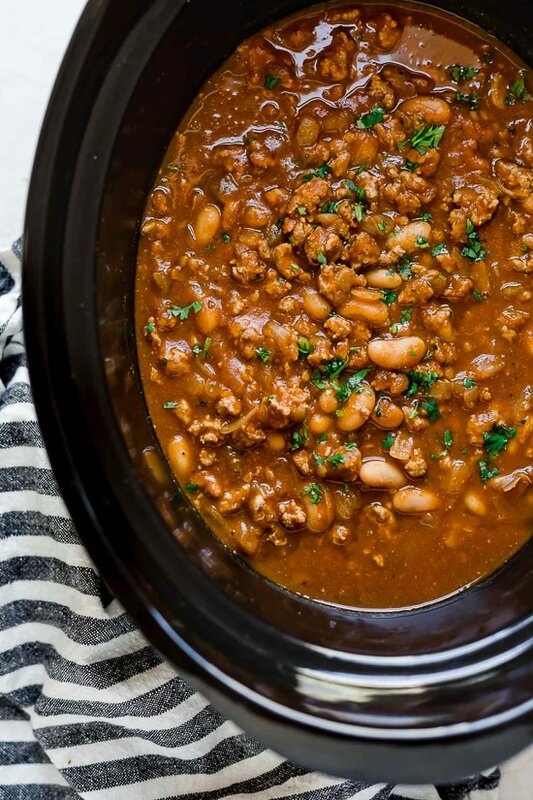 Not all my crock pot experiments get me excited, but when they do they wind up here on Skinnytaste. 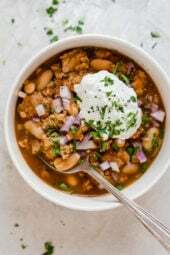 The pumpkin is not sweet at all, in fact, if you don’t mention it, no one would even know it’s there but it does add beautiful color and creaminess to the chili and for picky eaters, a great way to sneak in vegetables. 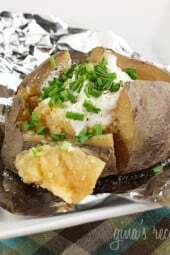 This is pretty mild as far as heat goes, if you want more kick use chipotle chili powder in place of the chili powder and use it according to your taste. Leftovers can be frozen, enjoy! 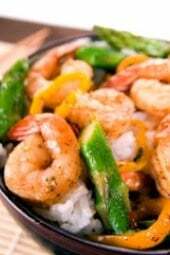 This is super easy & delicious! I do like to tinker with recipes though so the second time I made this, I changed the following…One pot, stovetop:Sautéed garlic & onions first (5min) then added ground turkey. Cooked almost all the way through and added double the spices. Cooked turkey the rest of the way through & added remaining ingredients. 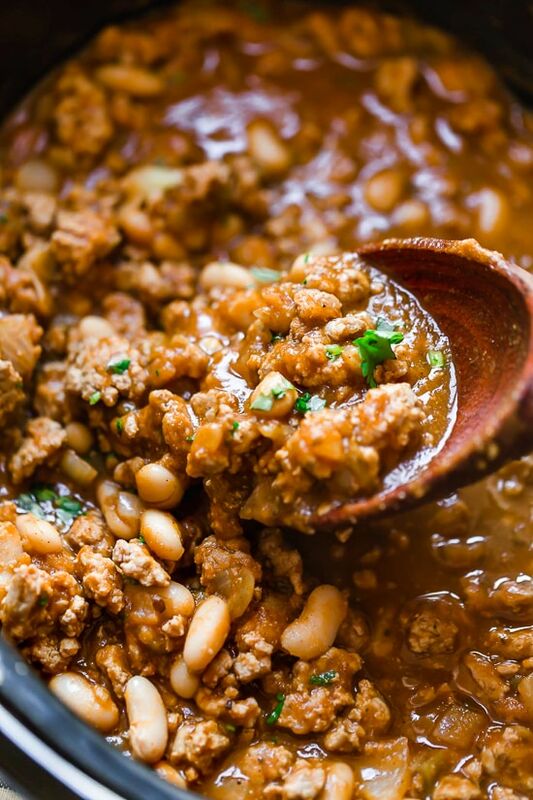 Stovetop simmer for about 45min…yum! 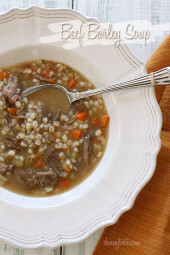 Easy, delicious, hearty and weight watchers friendly. Love it!!!!! You can use water instead with a bouillon. I doubled the onions, spices, and green chilies, added smoked paprika and a sweet potato. It was wonderful! Nice and thick and creamy and very flavourful. It was okay, not our favorite. It reminded me of a filling I’ve had in enchiladas before, which I think is what I’ll do with the leftovers. ???? 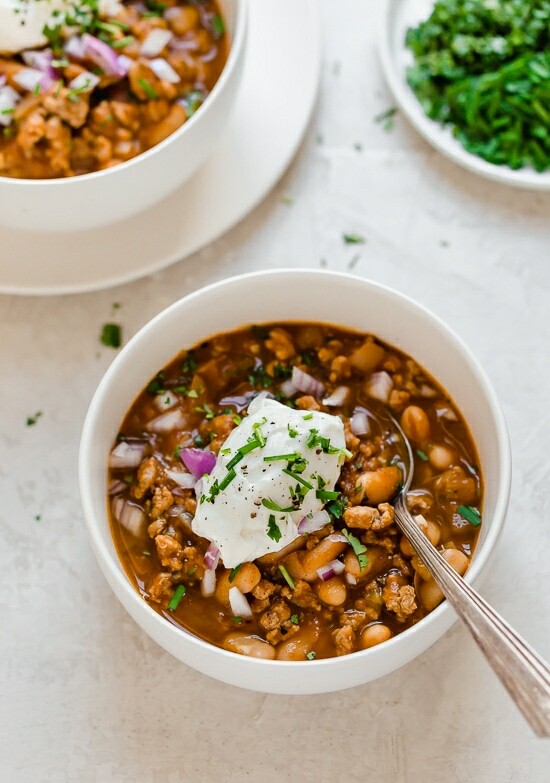 I’ve made this many times already and I’m not sure if I ever gave a review of it so if I did… oh well…My husband and daughter are not Dan’s of pumpkin at all and they both love this chili. Today was my husband’s birthday and when I asked him what he wanted for dinner THIS is what he wanted. I didnt realize that you also added IP instructions so when I looked for the ingredients list to make it tomorrow, I was pleasantly surprised and he was thrilled to have his birthday meal. Thanks again Gina. We are trying to lose weight again and your site makes it easier. Why is this not considered dairy free? Am I missing something? Especially if the sour cream/yogurt is optional. Fantastic!Only changes I made was to use a lot more of each spice or herb; added all herbs & spices at end of sauteeing onions and then only added enough chicken broth to deglaze the pan and scrape up all that yummy fond (probably 1 1/4 cup total) and added that to crock pot. Took less than 8 hrs on low. This is probably one of my favorite Chili recipes of all time. I would have never guessed I would love Chili with pumpkin so much! I would agree with the other comments, I definitely think all of the spices could be doubled with a pinch of salt and pepper. I look forward to making this again!! Made this tonight in the Instant Pot. I really liked it, and so did my husband. Will make it again!